Skelly J Returns to Boston! 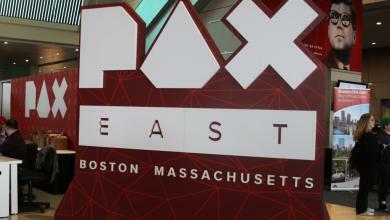 One of the biggest highlights of Pax East every year is getting to see what Kevin, Joe and the guys over at ModMyMods have to show off. Their builds are always beautiful, and their booth always has something interesting to see. Not to mention that when we do videos with Kevin, he’s always on point. One take, every time. 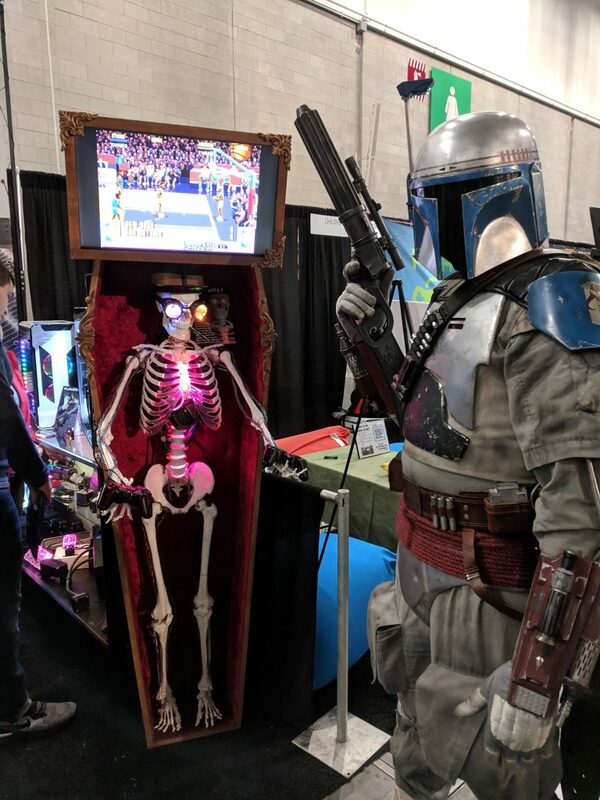 Also, for the second year in a row, they brought the true boss of ModMyMods to Pax East, Skelly J.
Skelly J is a water-cooled skeleton with an Odriod as a brain and running RetroPi loaded with classic games. Skelly J has emulators for NES, SNES, N64, Sega and more. 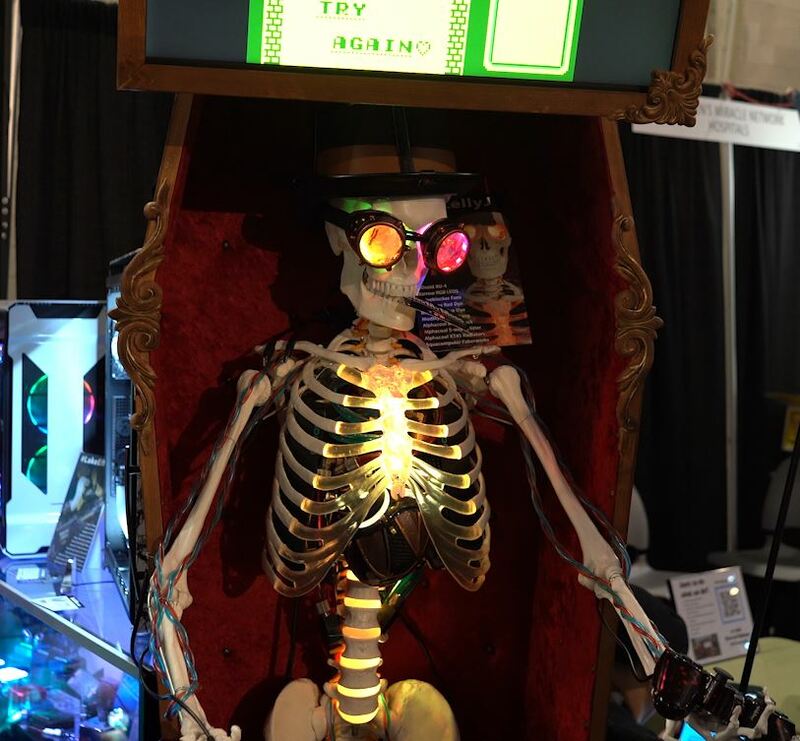 Skelly J is a fully water-cooled skeleton with a pump and reservoir for a heart and tubing for veins. One of the most inventive mods I’ve ever seen. 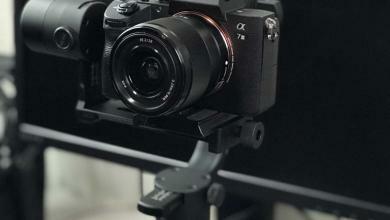 It was difficult to even film Skelly J as every time we’d try, someone was playing with it. 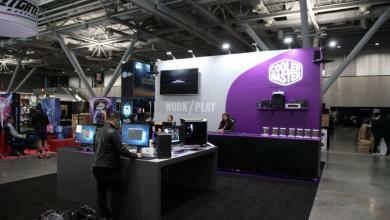 The ModMyMods booth was also shared by Envious Mods, Watercool and Diamastech. 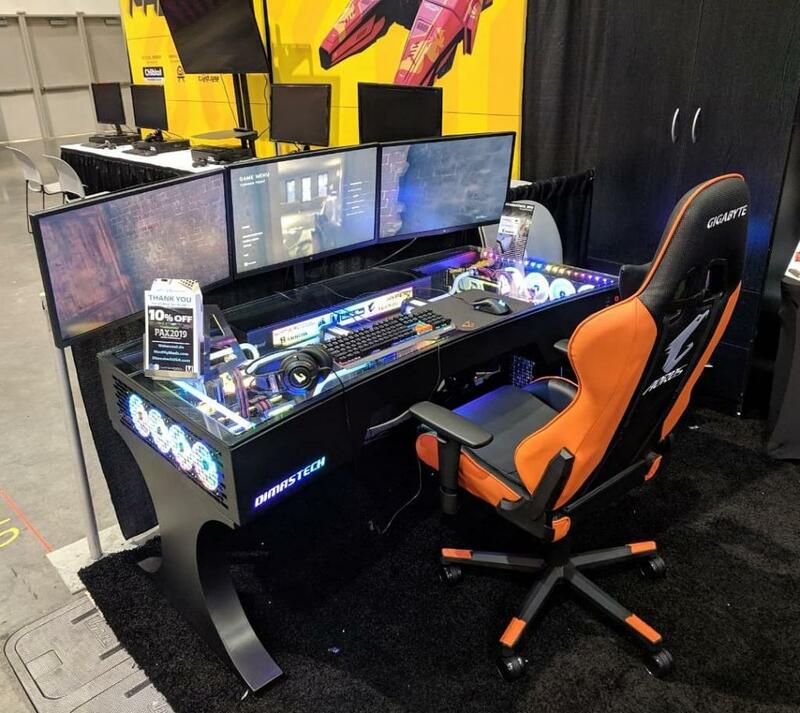 Dimastech had their dual system, water-cooled desk on display, with a three monitor setup. 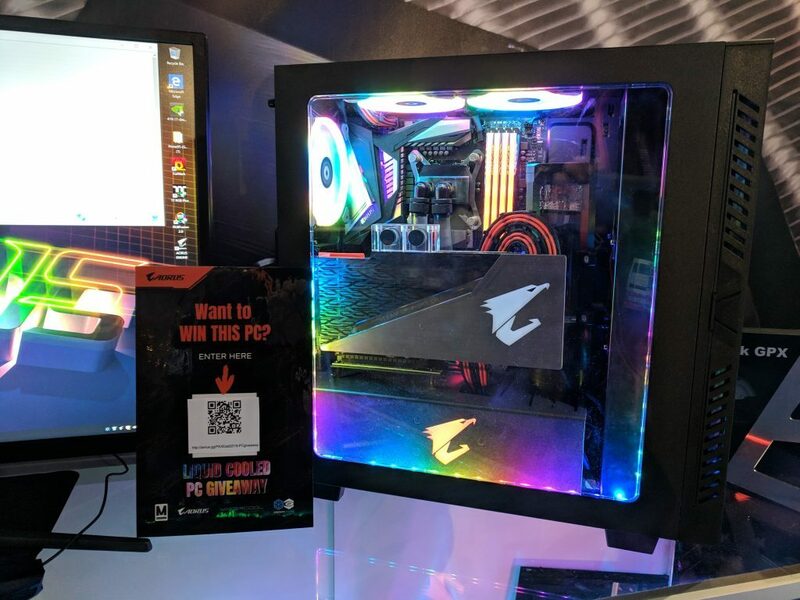 Both systems in the desk feature the I9 9900k on a Z390 Aorus Extreme Waterforce and the Waterforce RTX 2080. 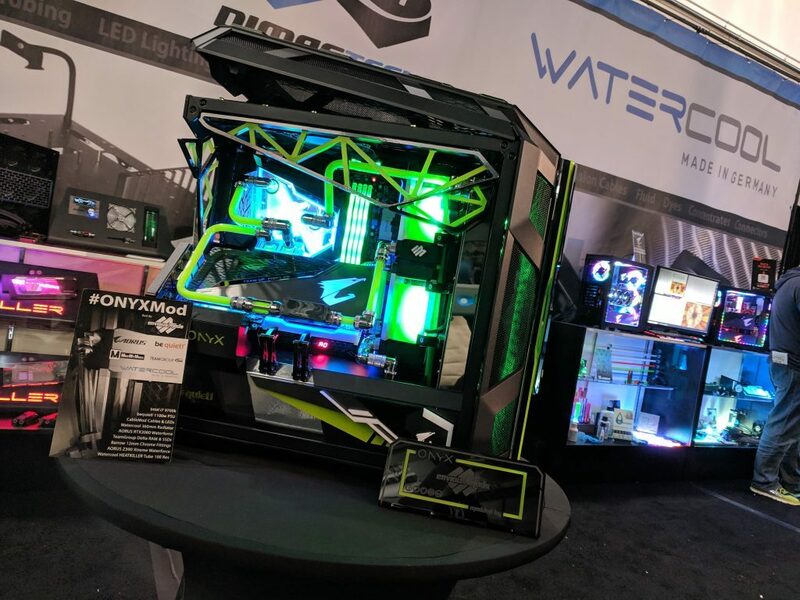 Side note, we have reviews of both the Waterforce 2080 and Z390 Extreme Waterforce motherboard coming out in the next couple week. 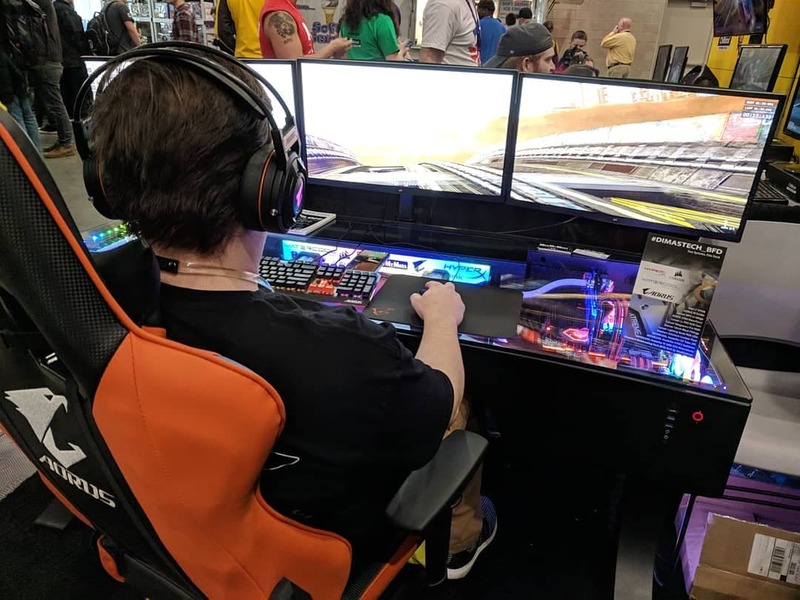 Aside from an amazing dual system desk and a water-cooled skeleton, Kevin showed up a very interesting experiment they had running at their booth this year. They had two identical systems in every way except for one difference. Both systems used the same Aorus case and memory. Both systems were running an i7 9700k and an Aorus RTX 2080. However, one system was air cooled and the other water-cooled. Both the air and water cooling systems were running Prime95 and FurMark at the same time. This was done to show how much of a performance increase the water-cooled system had over the air cooled. Not only could the air-cooled 9700k not hit its turbo boost, but it was often thermal throttling to prevent the system from shutting down. No surprise since there was about a 20°c difference in the two systems. But what would a visit to the ModMyMods booth be without checking out the mods on display? ModMyMods had their Torque build on display and looking amazing. 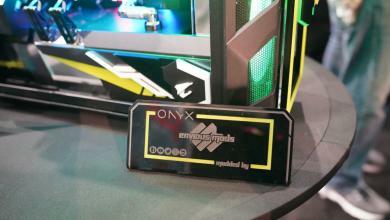 The ModMyMods booth was also where Calen from Envious Mods has is unbelievable Onyx Mod on display. 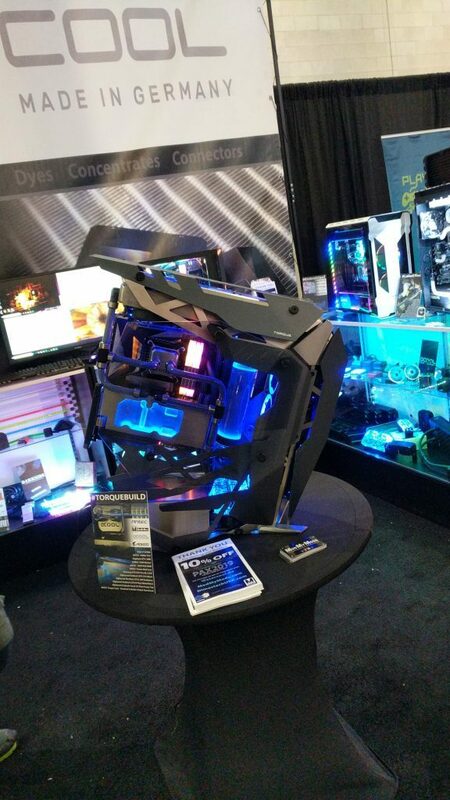 It was a toss up for me on which was the bigger draw to the booth, Skelly J or the Onyx Mod from Envious Mods. I’ll let you decide. Some pictures courtesy of ModMyMods. 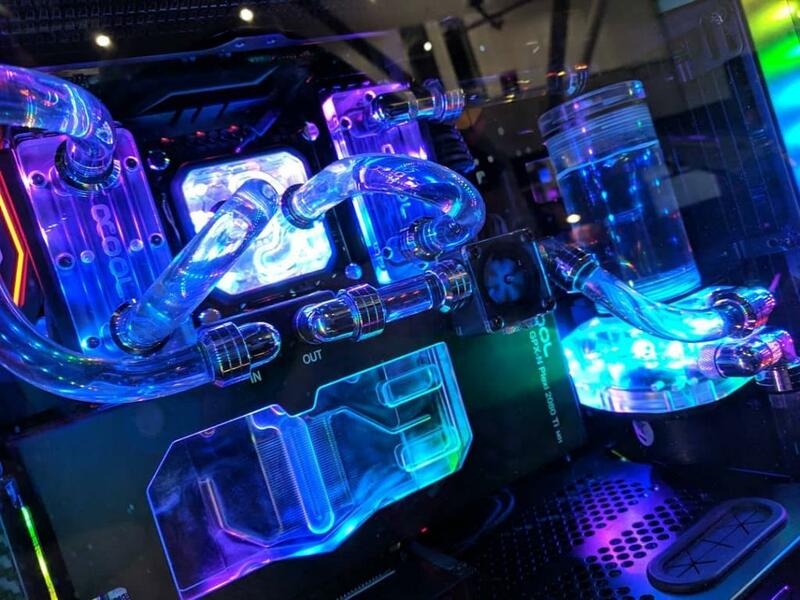 If you’re in the market for water cooling hardware of any kind, check out the ModMyMods website. Paul started building computers in 1994. He studied journalism and computer science in college. 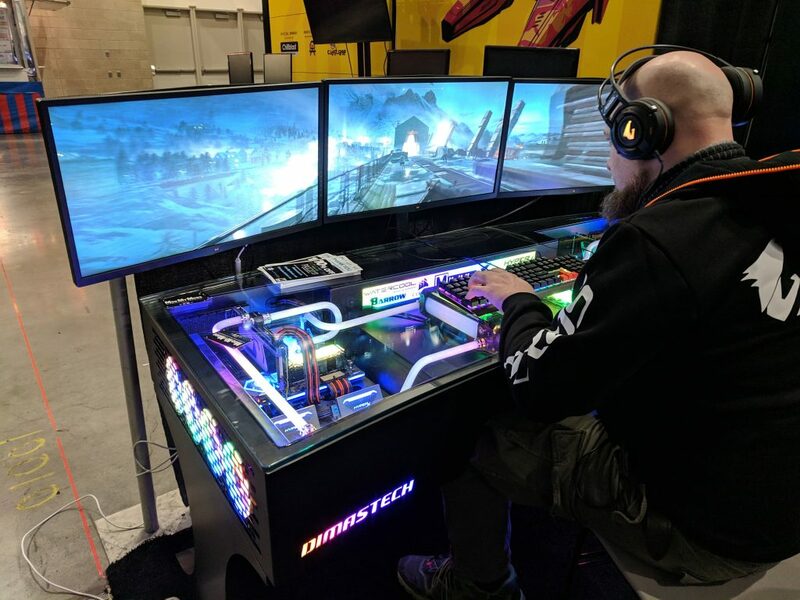 Paul loves gaming but hardware is his true passion. News Writer and Product Reviewer. The Onyx Mod from Envious Mods. 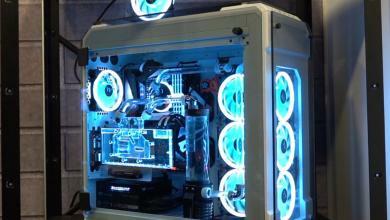 Thermaltake announces their TT Liquid Cooled Gaming Systems at PAX East.